Although it resembles a past life, it’s been a mere six months since I was knee deep in tourism, budget airlines, and tea time. It wasn’t too long ago I was in England, where the sun barely shines and the clouds seldom uncover the rays. I could count the sunny days on one hand. And I’ll be the first to say it was a much better day when I could dare to wear my canvas shoes without the risk of ruining them in puddles (which sadly was the demise of my favorite Toms). I dreamed of brighter days. Warmer days. I dreamed of the sun and its rare visits. Since rejoining the beautiful USA, I haven’t thought once of the sun or when it will be around next. It wasn’t even until this past week, when autumn weather finally made its appearance, on a rainy, dreary, windy day, that I appreciated the sun. It wasn’t until this day, that I looked above at the bleak shade of grey, and yearned for England. I missed the bustle of the cities and the sheep-filled countryside. The homey villages and the dignified mansions. I missed those English accents and the frequent lingual mishaps. But what I have missed and cherished the most recently: Those dreary and sunless days. British people don’t wake up to another, typical rainy day only to stay in bed netflix-ing the latest guilty pleasure or mull around town grouchy. They go on with their days. Still happy. Still loving life. It was as if they didn’t know it was raining. Which, at times I wondered if this is true. Their inspiration is unruffled. J.K Rowling began writing Harry Potter in a small coffee shop, looking out this very window. 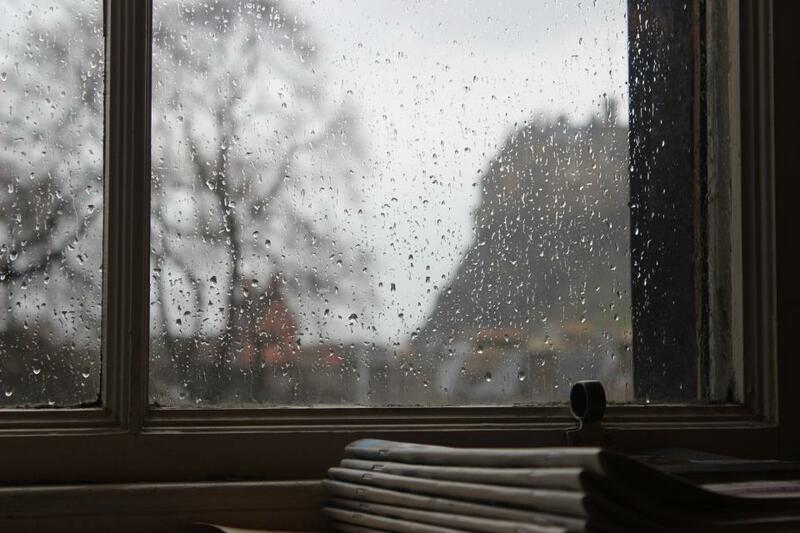 I imagine many days her view of the Edinburgh Castle was similar to this. If she can find inspiration in the rain, not only am I impressed, but I’m encouraged. Can we be like the British? Ya know, I think so. I hope to not be an emotional rollercoaster based on the weather. I hope to wake up, glance out the window – rain or shine – and move on with my day. Move on with my day inspired again. How great would that be? Imagine a world full of cheerful people. Every. day. That can be me. That can be you. This entry was posted in Uncategorized and tagged Appreciate, Edinburgh, Inspiration, Rain, Scotland, Sun, Travel, UK. Bookmark the permalink.